De Gea came close to sealing his dream move to Real Madrid back in the summer of 2015, but unfortunately, it just could not happen with a faulty fax machine scuppering the proposed move before the transfer deadline. Both clubs have since had a shrewd relationship with Los Blancos recently holding out Alvaro Morata's move to Old Trafford. The Spain international has eventually linked up with league rivals Chelsea, and this is likely to add the tensions between the clubs, who do not appear to go on well since the De Gea saga. 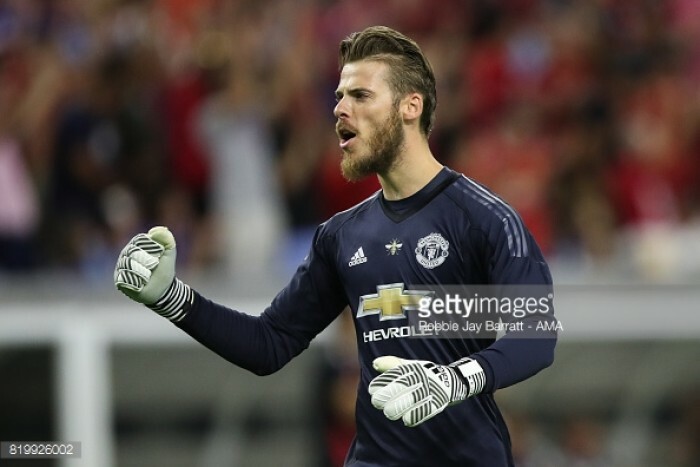 Prior to United's pre-season friendly against Real Madrid, Mourinho was questioned on De Gea's future for which he guaranteed the Spaniard's stay at the club. He told reporters: "I can guarantee that he's not going this season that I can, and my feeling is it will be very difficult for him to go. Because he's a very honest boy, very straight. He was contacted for a long time [by Real]. The club was close, then we open because I always have this feeling of when a player has a desire to go I don't like to stop players to go because in the end you don't get what you expect from them if they want to move and they don't." De Gea still has two years left on his existing deal at Old Trafford, and the latest comments from Mourinho suggest that both the player and the club are happy with the progress made. United celebrated an EFL Cup and Europa League double during Mourinho's maiden season in-charge, and there will be higher expectations this term with the club ought to compete strongly in the Premier League and Champions League.